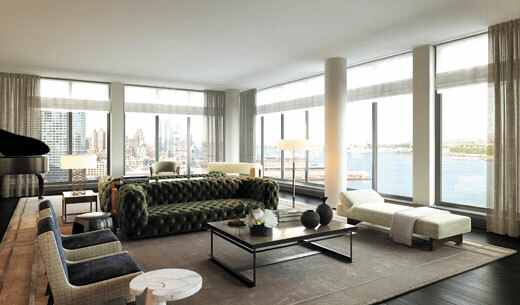 Extell Development Company, one of New York City’s most active developers, brings a new level of refinement to waterfront living on Manhattan’s Upper West Side with its last and crowning achievement in luxury condominium development in Riverside South, One Riverside Park. 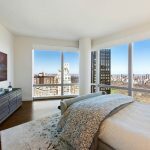 Located at 50 Riverside Boulevard, the 34-story glass tower launched sales in November of 2013 for its 219 spacious residences. 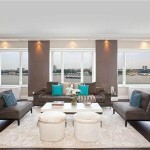 Today the condominium is already more than 50 percent sold. Overlooking the Hudson River and boasting expansive views of Riverside Park and the New York City skyline, the building was meticulously designed by award-winning architecture firm Goldstein Hill & West Architects. 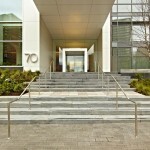 The building’s exterior, which is constructed primarily from glass and limestone, was designed to complement the modern aesthetic of the Riverside South neighborhood. 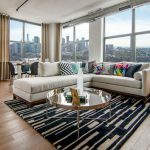 Residences range from one to seven bedrooms, including five full-floor penthouse residences, each featuring six bedrooms and more than 6,000 square feet of living space. There are also three unique homes that offer a 29’ by 12’ private pool. Prices range from $1 million to $25 million and occupancy is slated for 2015. The building’s residences feature interiors curated by the visionary interior designer Shamir Shah. 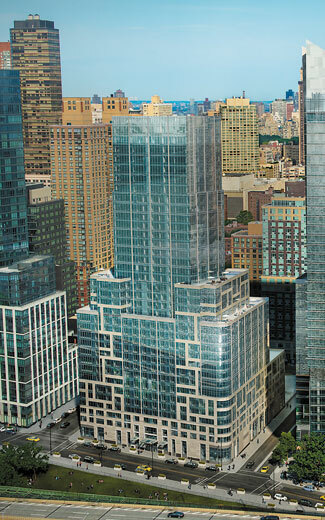 Known for his work on private residences and developments in Midtown and Downtown at 150 Nassau Street and 130 West 30th Street, this is Shah’s first development on the Upper West Side. The quality of craftsmanship and regard for detail is apparent immediately as you enter the building’s lobby, which includes the lavish use of natural materials such as travertine, accented with decorative metal work and a custom hand-blown glass chandelier. Shah retraces his routes from Kenya, where he was born and raised, to meticulously blend two design inspirations, modernism and natural/organic design elements, to create custom residences that are warm, earthy and modern. While Shamir credits no single inspiration for the project, he did draw heavily from nature because of the building’s close proximity to the Hudson River. He also strived to create a balanced and neutral palette for the building, as he wanted residents to be surrounded by natural elements to differentiate the building’s interiors from the City’s somewhat artificial/unnatural landscape. 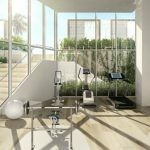 One Riverside Park is situated in the new and vibrant Riverside South neighborhood, coupled with unrivaled amenities and services, including one of the city’s largest private residential athletic clubs, LA PALESTRA. The club includes a 75-foot swimming pool, 38-foot rock-climbing wall, full-size basketball and squash courts, two-lane bowling alley and lounge, and a golf simulator. The amenity package also includes a game room with billiards and ping pong, indoor playground designed by Kidville, function room with full catering kitchen, private screening room, residents lounge and landscaped garden courtyard. 25 Freedom Place South at 62nd Street.